The 8-bit home computer Commodore 64 (commonly known as the C64 or C=64), introduced by Commodore International in January, 1982, was a machine with remarkable market success. Volume production started sometime in the spring of 1982, with machines being released on to the market in August at a price of $595. During the his lifetime, sales totaled some 17 million units, making it the best-selling single personal computer model of all time. For a substantial period of time (1983-1986), the Commodore 64 dominated the market with between 30% and 40% share and 2 million units sold per year, outselling the IBM PC clones, Apple computers, and Atari computers. Sam Tramiel, a former Atari president said in a 1989 interview "When I was at Commodore we were building 400 000 C64s a month for a couple of years." Another part of the Commodore 64 success was because approximately 10000 commercial software titles were made for the Commodore 64 including development tools, office applications, and games. The machine is also credited with popularizing the computer demo scene. The Commodore 64 is still used today by some computer hobbyists. The Commodore 64 home computer see the upper image) remained in production from August 1982 as late as until April 1994. 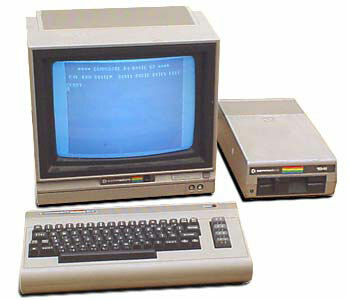 The Operating system was Commodore KERNAL/Commodore BASIC 2.0. The CPU was MOS Technology 6510, working at 1.02 MHz (NTSC version) or 0.985 MHz (PAL version). Memory: 64 kB RAM, 20 kB ROM. Display: 25x40 text. Graphics VIC-II (320x200, 16 colors, sprites, raster interrupt). Sound was SID 6581, 3 channels of sound. Ports: TV, RGB & composite video, 2 joysticks, cartridge port, serial peripheral port. Peripherals: cassette recorder, printer, modem, external 170K floppy drive. The Commodore Business Machines was found in 1954 by Jack Tramiel (Jewish, born Idek Trzmiel on December 13, 1928, in 艁贸d藕, Poland, emigrant to the United States in 1947) of Bronx, New York. Later Tramiel relocates to Toronto and became the biggest manufacturer of low cost office furniture in Canada. In 1970s Commodore manufactures calculators and digital watches, but gets killed by Texas Instruments. In 1976 Commodore purchases MOS Technologies, an American maker of IC chips. MOS' senior engineer, Chuck Peddle was working on the 6502 micro processor, a popular 8 bit processor that soon would be used in machines like the Apple II, the Atari 800, the Commodore PET and 64. 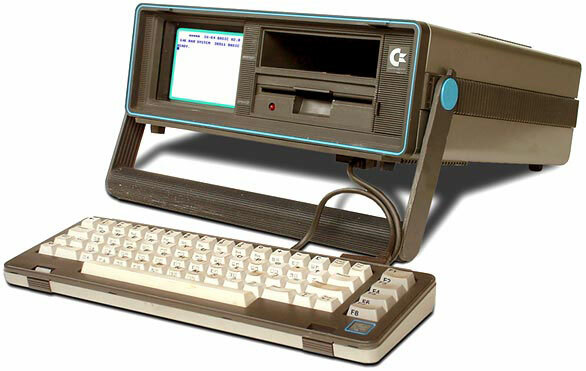 In 1977 Commodore launched its first successful computer—PET 2001 computer, for US$600. In 1980 Commodore Japan introduces the VIC-1001 (later called the VIC-20 in the USA) US$299, which appears to be a rather successful machine. During its life, production peaks at 9000 units per day. In January 1981, MOS Technology, initiated a project to design the graphic and audio chips for a next generation video game console. Design work for the chips, (which will be used in C64), named MOS Technology VIC-II (graphics) and MOS Technology SID (audio), was completed in November 1981. At the same time Robert Russell (system programmer and architect on the VIC-20) and Robert Yannes (engineer of the SID) were critical of the current product line-up at Commodore, which was a continuation of the Commodore PET line aimed at business users. With the support of Al Charpentier (engineer of the VIC-II) and Charles Winterble (manager of MOS Technology), they proposed to Commodore CEO Jack Tramiel a true low-cost sequel to the VIC-20. Tramiel dictated that the machine should have 64 kB of RAM. Although 64 KB of DRAM cost over 100 USD at the time, he knew that DRAM prices were falling, and would drop to an acceptable level before full production was reached. In November, Tramiel set a deadline for the first weekend of January, to coincide with the 1982 Consumer Electronics Show. The product was codenamed the VIC-40 as the successor to the popular VIC-20. The team that constructed it consisted of Bob Russell, Bob Yannes and David A. Ziembicki. The design, prototypes and some sample software was finished in time for the show, after the team had worked tirelessly over both Thanksgiving and Christmas weekends. 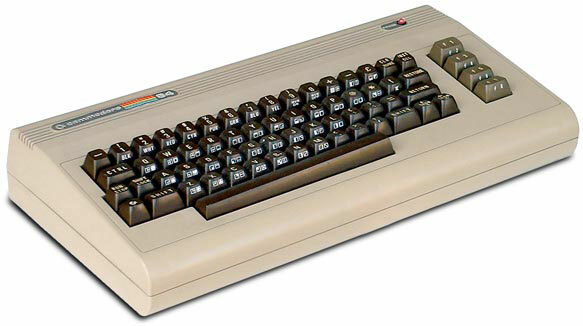 When the product was to be presented, the VIC-40 product was renamed C64 in order to fit into the current Commodore business products lineup which contained the P128 and the B256, both named by a letter and their respective memory size. The C64 made an impressive debut at the January 1982 Winter Consumer Electronics Show, as recalled by Production Engineer David A. Ziembicki: "All we saw at our booth were Atari people with their mouths dropping open, saying, 'How can you do that for $595?'" The answer, as it turned out, was vertical integration; thanks to Commodore's ownership of MOS Technology's semiconductor fabrication facilities, each C64 had an estimated production cost of only $135. In 1984, Commodore released the SX64 (see the upper image), a portable C64 with built-in monitor, floppy drive and power supply.